Explore the awe-inspiring and dramatic mountain and ocean scenery of the Faroes on this leisurely 11 night holiday, staying on Stremoy, Sandoy, Eysturoy and Vágur in the Faroes with a night in Copenghagen or Reykjavik either side. Immerse yourself in the Viking history and visit the colourful towns and hamlets of this stunning, yet little explored group of North Atlantic islands. Make your own way to your hotel for an overnight stay. 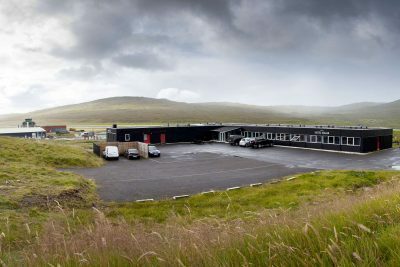 Make your own way to Copenhagen Airport and fly to Vagar Airport, Faroe Islands. On arrival at Vagar make your way to the car rental office in the arrivals hall to collect your rental vehicle. Their representative will hand out maps, and answer any questions you might have about driving in the Faroes. Drive towards Torshavn for check at the hotel. Day at leisure in and around Torshavn. Stroll along the narrow main street Gongin with buildings dating back to the 19th century, visit the picturesque harbour and the old town with red turf-roofed timber buildings, home to the Faroese government. Take a short drive to the village of Kirkjubour with a 900-year farmhouse and unfinished cathedral dating back to 1110AD. Take the local ferry to Sandoy from the tiny port of Gamlaett. Explore the small village of Sandur and the tiny settlements of Skarvanes, Skopun, Húsavík and Dalur, not forgetting the beautiful sandy beaches with dunes and coastal areas teaming with seabirds. Following 2 nights at Hotel Skálavík. Enjoy a special BBQ dinner, where you can help to prepare your own meal in one of the hotel's wooden grill huts. Day at leisure to explore Sandoy. Return to Stremoy by ferry and continue towards the island of Eysturoy, perhaps making a detour to the remote, but beautiful villages of Saksun, set in a natural amphitheatre high above the tidal lagoon, and Tjornuvík. There is a hiking path between the two villages offering views over the sea and two of the tallest mountains in the Faroe Islands, Slaettaratindur and Grafelli. Continue to Eysturoy and the village of Runavik for a 2 night stay. A day to explore Eysturoy. 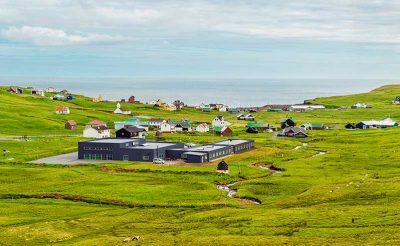 Head north to the remote village of Gjógv, spend some time travelling around the southern parts of the island. Visit the renowned wool factory Navia in Toftir and the villages of Sydrugota, Gotugjogv, and Nordragota which comprise the historic area of the famous Viking chieftain, Tróndur i Gøtu and ruins of his farm are found in Gota. The museum Blasastova provides insight into the culture and way of life in the Faroes over the centuries. Enjoy the spectacular views from Leirvík over the islands of Kalsoy, Kunoy and Borðoy. Continue to Gjógv in the north of the island for a two night stay at Guesthouse Gjaargardur. On Wednesday nights from June to August, there will be a Cultural Evening which includes a dinner platter of local specialities (additional cost, pre bookable). The village of Gjogv, named after a 200 metre long sea-gorge from the village to the ocean, is an excellent area for hiking. Hiking maps may be purchased from the hotel reception. 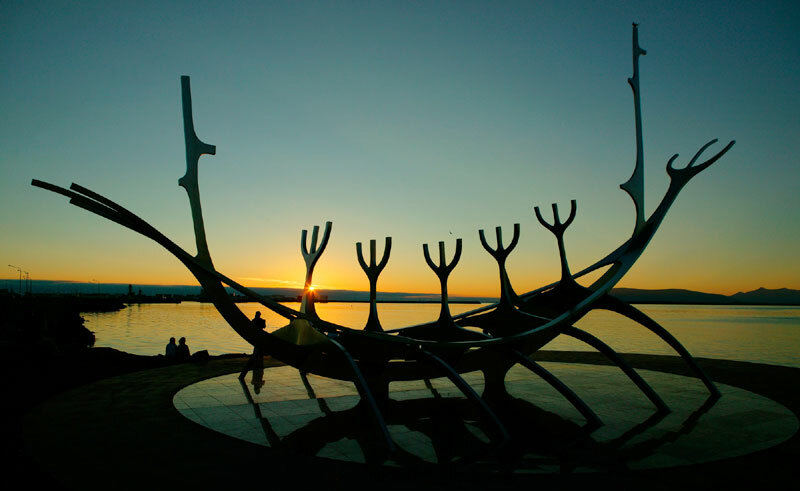 Continue exploring the Northern Isles and also visit the second largest town, Klaksvik, rich with Viking heritage. Here you find the beautiful harbour and magnificent church, Christianskirkjan. 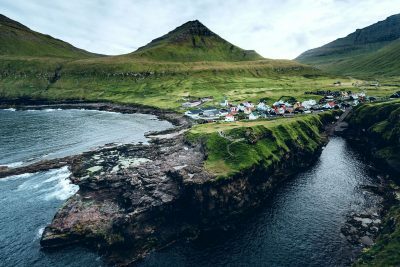 Drive back towards Vágur Island - we recommend you explore the village of Vestmanna on the way - if time allows you can join one of the boat tours to the Bird cliffs on the coastline outside the bay (pre booking recommended). Return the car at the airport before checking in for your return flight. On arrival in Copenhagen make your own way to your hotel. Make your own way to Copenhagen airport for your return flight. 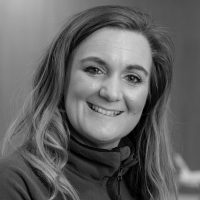 On arrival in Keflavik transfer to your accommodation for an overnight stay. Transfer to Keflavik Airport and fly to Vagar Airport, Faroe Islands. On arrival at Vagar make your way to the car rental office in the arrivals hall to collect your rental vehicle. Their representative will hand out maps, and answer any questions you might have about driving in the Faroes. Drive towards Torshavn for check at the hotel. Return the car at the airport before checking in for your return flight. On arrival in Keflavik transfer to your hotel in Reykjavik. Transfer to Keflavik airport in time to check in for your flight. 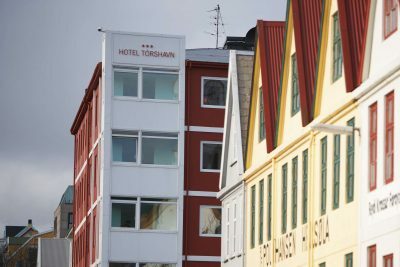 A modern hotel located in downtown Torshavn. A bright airy hotel in Skalavik on Sandoy. 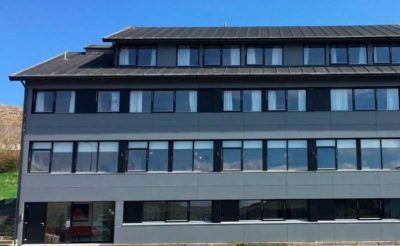 Conveniently located in Runavik close to the harbour and shops. This charming guesthouse is in Gjogv on the island of Eysturoy. Located in picturesque Sorvagur on the island of Vagar.